Ear Surgery Otoplasty| Cosmetic earlobe procudere to reduce protruding ears. 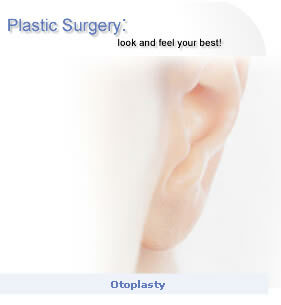 Cosmetic ear surgery (Otoplasty) is a facial plastic surgery to reduce unaturaly large or protruding ears. Young children, at the ages when they have “ears that stick out” tend to be singled out and are subject to a fair amount of ridicule at school. Ear surgery is unique in that it’s a cosmetic procedure that is performed most frequently on children or young adults. Although also performed on adults as well, it tends to be combined in combination facial surgeries, often added to a face lift or other major procedure. This combination is known in the plastic surgeon trade as an ear and face pinning surgery. Have good skin elastics in the upper facial area. Have ear lobes that protrude to the point of distorting the facial structure. Has a symmetry issue involving one ear. Age affects the outcome of having your ears modified. The ideal age to have cosmetic ear surgery is when you are younger, the cartilage is far easier to manipulate and remold in a young person’s ear cartilage. The ears are considered fully grown at age six normally. As you ear develops later in life the ability to sculpt it into exact positions is more difficult. As a parent you want to remove any barriers to your child’s happiness and healthy social integration. If you consider that your child may need ear pinning, see your plastic surgeon with your child, and at no point make a big deal of it. Just pretend it’s a natural thing to have surgery of the ears. Your being at ease will help your child deal with any fears about getting a surgical procedure. Make sure that the surgeon has a good affinity with your child. Scheduling the surgery during summer months or when the change is not pointed out to other children is an excellent idea as well. This surgery time is about two hours long. Typically, this is considered a minor surgery and is done under a local anesthesia(vs. a general anesthesia). During the procedure, your surgeon will make a very small incision behind your ear. The incision point is in the crease line of your ear, directly where it connects to the head. After the initial incision, the surgeon removes the precise amount of cartilage and skin to create the desire. The ear cartilage is then sewn in the new position with stitches. Earlobes normally heal very rapidly with almost imperceptible scarring. Mild discomfort is to be expected immediately following Otoplasty surgery but normally subsides in two days. Most insurance carriers will not cover a cosmetic procedure of the ears, unless it is considered a deformity from birth, or an accident such as a torn earlobe. Check with your agent to see what your health policy covers. Generally ear surgery is not covered in the majority of patient cases.